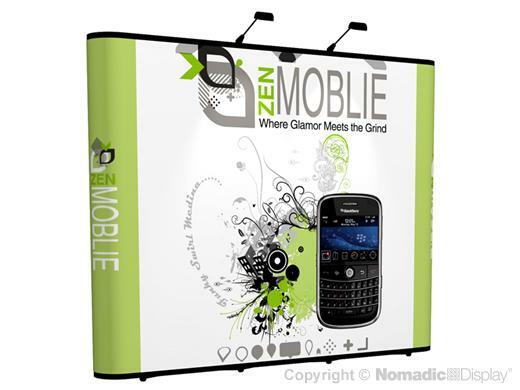 If you want a custom-tailored trade show booth in a cost-effective presentation, we have your solution. Distinctive in style with multi-functional capabilities, our industry leading Instand® displays are lighter in weight and more compact than traditional displays. Nomadic 10' Instand provides a stunning graphic backwall that will save you time and money on storage, transportation, drayage and set-up. Plus Instand is engineered to blend seamlessly with other Nomadic systems.